juicing, I would have told you that you were crazy. I think the best way to start working on eating better, is to cut out things you can live without. I started avoiding products with high fructose corn syrup, cutting out the wasted calories in soda pop and limiting my processed foods. It took a few years before my son considered that I was turning into a health nut. That is okay though, I would rather be alive and a health nut. As a heavy individual, I have always focused on eating a healthy lower calorie diet yet I was still heavy. Now I focus on eating right and exercising and do the best I can. One of the best secrets I have found is Beyond Healthy Chocolate. 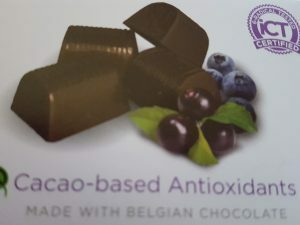 Their chocolate uses a cold pressed process unlike traditional chocolate that has been heated or dutched, losing many of the healthy antioxidant and flavonoid benefits that are found in fruits and vegetables. 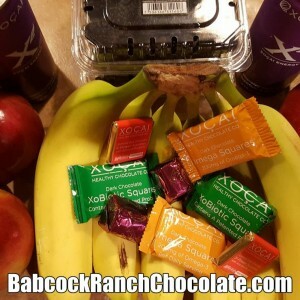 Not only is this chocolate yummy and low calorie, it is a high antioxidant superfood. Eating just three little squares a day is equivilent to 8-10 servings of fruits and vegetables in antioxidant content. The antioxidant value is verified by Brunswick Labs whose seal is on every box of their chocolate. The best tip I can recommend is slowly start working to improve your health. For me it was easy to start with 3 Beyond power squares a day. I spaced them out morning, noon and evening and enjoyed my chocolate with a glass of water. By eating my chocolate 20-30 minutes before each meal, I was able to curb my appetite as well. Nothing like dieting with chocolate! I am Lynette Henk, Beyond Healthy Chocolate lover. I can be reached at 941-216-5727, at [email protected] or at LiveForChocolate.com.